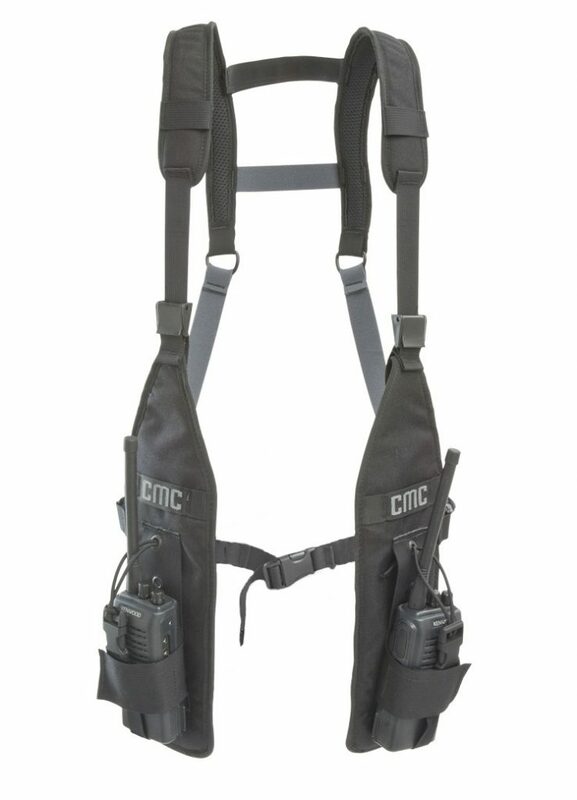 Those who need two radios know how cumbersome it can be to carry them in a chest harness. Made of 1,000-denier Cordura® nylon fabric and breathable D3 cloth, the vest features hook-and-loop pockets and an adjustable sternum strap. This unique positioning keeps antennas away from the face and allows the mic cord to properly extend. Color: Black.